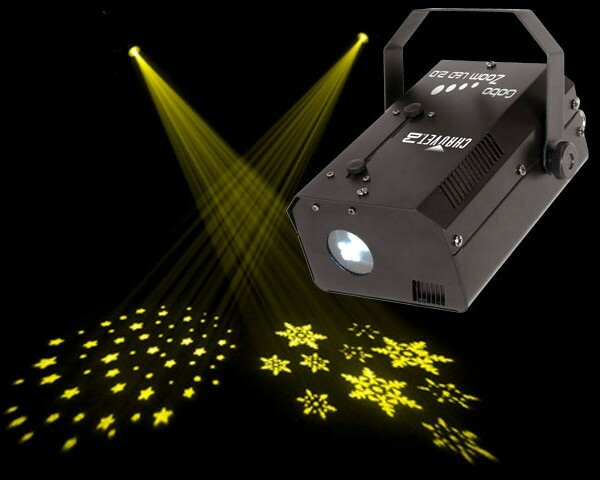 Gobo Zoom LED 2.0 projects your message or custom image anywhere you want it. 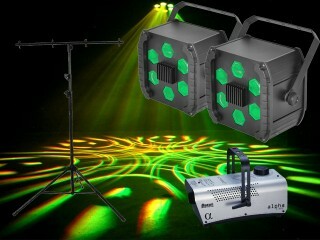 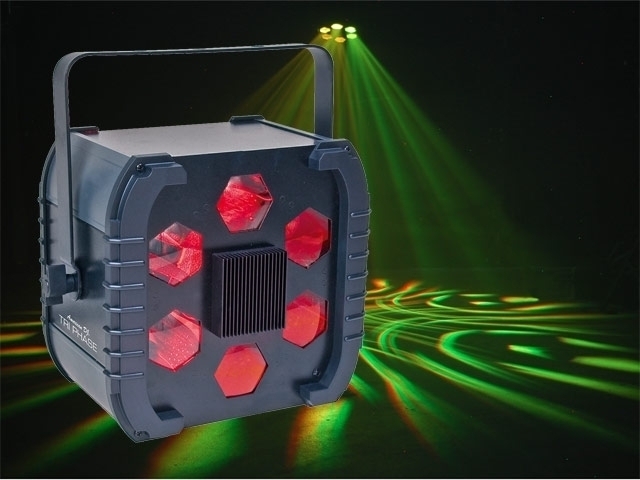 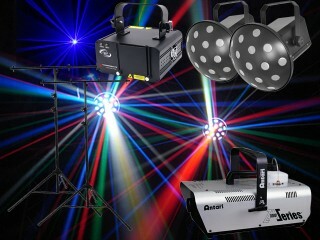 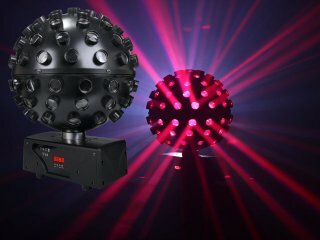 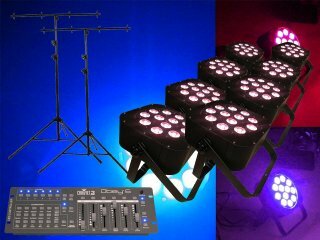 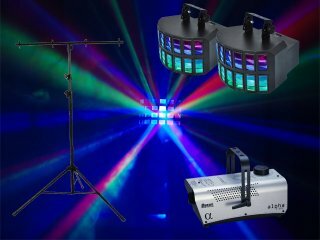 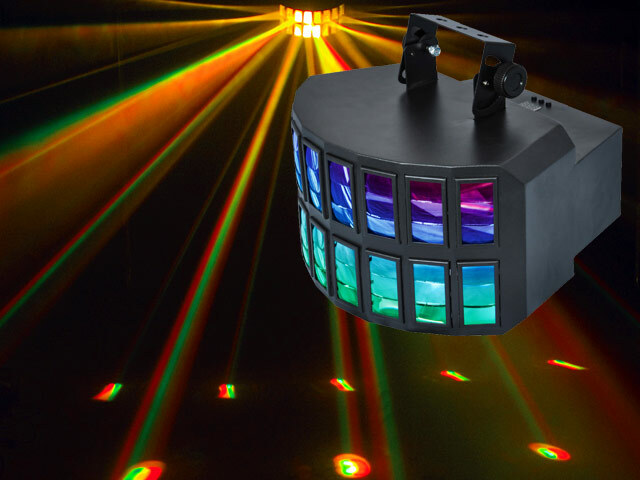 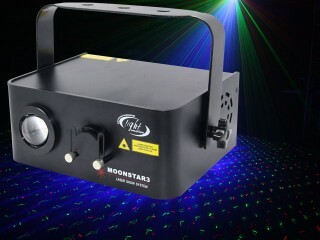 Powered by a 15-watt LED, this powerful gobo projector comes with 4 gels and 9 easily replaceable rotating gobos. 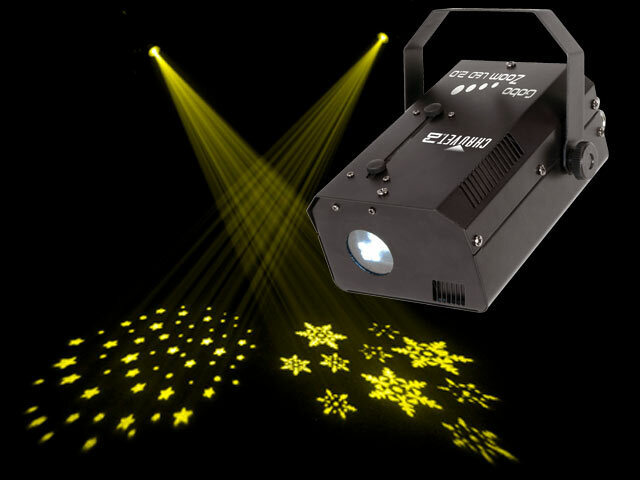 Heat-free LED power allows use of custom gobos, easily created from transparency material. A variable 18° – 26° beam angle allows for crisp focusing at a variety sizes. 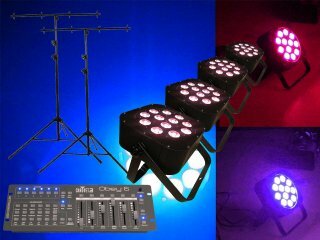 DMX control easily incorporates it into shows.